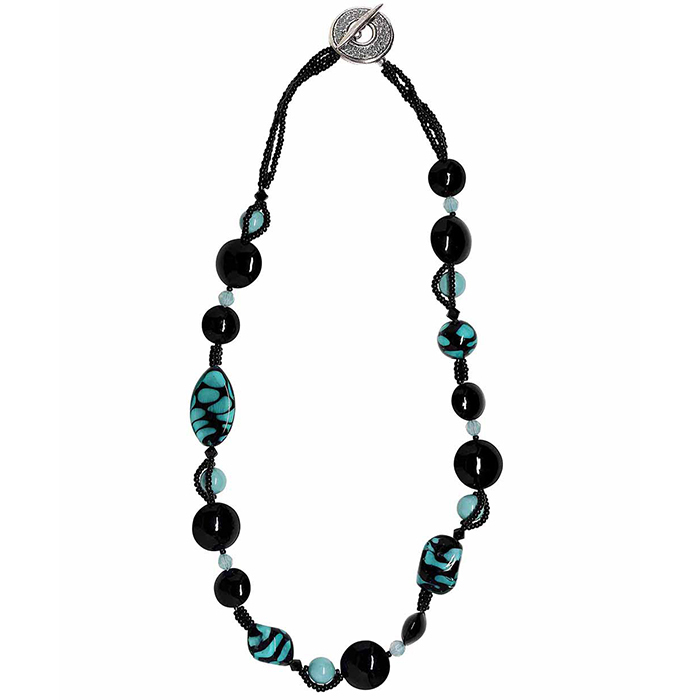 This colorful Murano Glass necklace is classy strung with black seed bead with solid black and with aqua and black swirls. The length is 20 Inches with an antiqued Silver Clasp. One of a Kind Authentic Murano Glass Necklace.